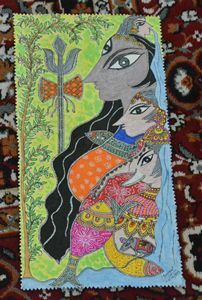 Lord Krishna with his beloved Radha(in front of him), Mira(in sky blue)and his wife Rukmini(at bottom). 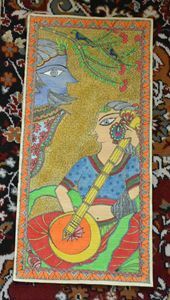 handmade art on handmade paper. 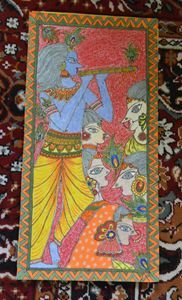 I love bright color which are major part of Madhibani art. 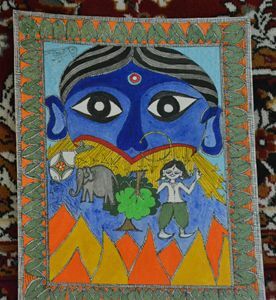 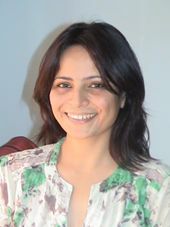 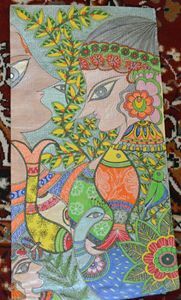 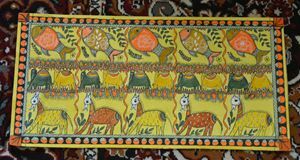 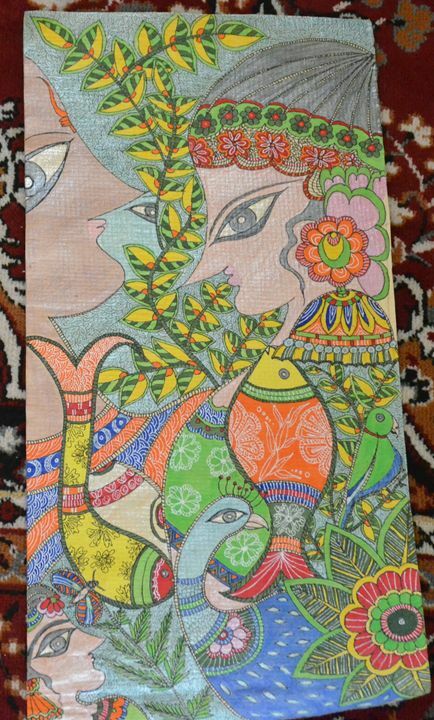 Little about Madhubani Painting- Madhubani or Mithila painting is a style of Indian painting, practiced in the Mithila region of Bihar state, India, and the adjoining parts of Terai in Nepal. 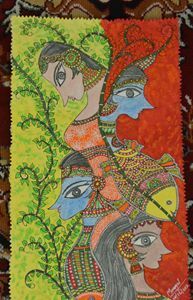 The original inspiration for Madhubani art emerged out of women’s craving for religiousness and an intense desire to be one with God. 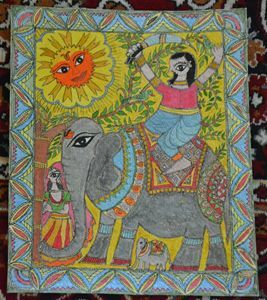 With the belief that painting something divine would achieve that desire, women began to paint pictures of gods and goddesses with an interpretation so divine that captured the hearts of many.